The establishment of the United Nations High-level Political Forum on Sustainable Development (HLPF) was mandated in 2012 by the outcome document of the United Nations Conference on Sustainable Development (Rio+20), "The Future We Want". The format and organizational aspects of the Forum are outlined in General Assembly resolution 67/290. 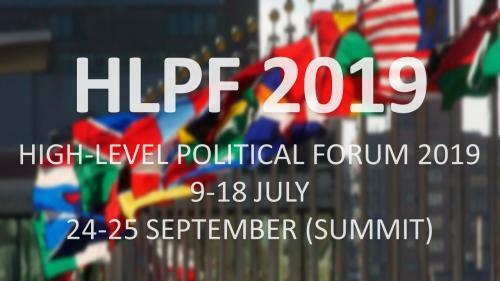 For the positioning of the HLPF in the UN system, please click here. The Forum adopts intergovernmentally negotiated political declarations. Please click here to visit the web page of HLPF 2019 under the auspices of the Economic and Social Council. For more information on the Voluntary National Reviews, click here. promote system-wide coherence and coordination of sustainable development policies. As stipulated in the 2030 Agenda for Sustainable Development, the HLPF has a central role in the follow-up and review of the 2030 Agenda and its 17 SDGs at the global level, working coherently with the General Assembly, the Economic and Social Council and other relevant organs and forums. A central feature of the HLPF are the voluntary national reviews (VNRs) that it receives from Member States on their implementation of the 2030 Agenda and the SDGs. Regularly undertaken by both developed and developing countries, the VNRs provide a platform for partnerships, including through the participation of major groups and other relevant stakeholders. Follow up and review at the HLPF is informed by an annual progress report on the SDGs prepared by the Secretary-General of the United Nations. The most recent report is available here.. The HLPF is also informed by the Global Sustainable Development Report (GSDR), which strengthens the science-policy interface and is issued every four years (E/HLS/2016/1). Details of the 2019 GSDR, including bios of the independent group of scientists tasked with drafting it, are available here. The follow up and review at the HLPF are also informed by other relevant inputs. The General Assembly in resolution 67/290 decides that all meetings of the Forum shall provide for the full and effective participation of all States Members of the United Nations and States members of specialized agencies. Every year under the auspices of the Economic and Social Council for a period of eight days, including a three-day ministerial segment. For further information please see General Assembly resolution 67/290 on the format and organizational aspects of the Forum and resolution 70/299 on the follow-up and review of the 2030 Agenda for Sustainable Development at the global level. The organizations of the United Nations system, including the Bretton Woods institutions and other relevant intergovernmental organizations, including the World Trade Organization, are invited to contribute within their respective mandates to the discussions of the Forum. Member States have stressed the need for the HLPF to promote transparency and implementation by further enhancing the consultative role and participation of the major groups and other relevant stakeholders at the international level in order to make better use of their expertise, while retaining the intergovernmental nature of discussions. 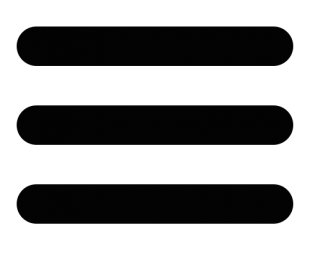 The major groups and other stakeholders include non-governmental and non-profit organisations, business and industry, and local authorities, among others. In accordance with General Assembly resolution 67/290, the Forum is open to the major groups, other relevant stakeholders and entities having received a standing invitation to participate as observers in the General Assembly, building on arrangements and practices observed by the Commission on Sustainable Development. The Office for Intergovernmental Support and Coordination for Sustainable Development of the United Nations Department of Economic and Social Affairs serves as the Secretariat of the High-level Political Forum on Sustainable Development.